I share the desire to avoid a system the clips onto the corners for the reasons stated. I do like Lou to get as much as I possibly can off. Then use mineral spirits to dissolve the remaining residue to clean it to the bare surface. Multiple scores does not equal a better cut. It equals a worse cut. 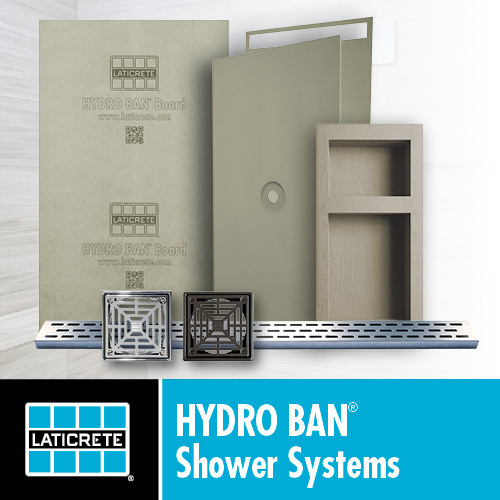 Thoughts on Schluter profiles on shower curbs? Vinegar doesn’t clean. It is an acid. It eats. But let’s set that discussion aside for a bit while we talk about your floor. It may be the change in the material’s sheen that’s fooling me, but it doesn’t look like you’re extending a consistent slope from the drain all the way to the walls. I’ve had lots of success cutting corner to corner with a Sigma. But 1/2” thick....that’s wetsaw territory if you ask me. Yes. But be sure to use the approved fabric/mesh called out by the specific manufacturer. At first glance, that kinda looks like the imprint of a plastic pan that was removed.